4K Ultra HD 24 30p Recording @ 150Mbps. Dual SDHC/SDXC Memory Card Slots. The JVC GY-HM200 4KCAM Compact Handheld Camcorder is one of the 3 new 4K handheld camcorders that JVC have released over the last couple of months. All 3 cameras are intended to provide an economical option for broadcasters, cinematographers, webcasters and live event production teams. In this HM200 review, you will find out what makes this particular device different. If you do not require XLR inputs you may want to look at the GY-HM170 which is the same but without XLR and extra audio fuctionality. Just to give you a preview, it offers an excellent combination of performance and features suitable for diverse range of shooting. Then again, JVC is known to provide nothing but the best of gadgets. The GY-HM200 features a versatile handheld form-factor, making it easy to handle and operate. It sports a professional layout, suited for a camera primarily designed for professional use. It comes complete with dual XLR audio inputs, although external microphone is not included, and HDMI outputs. It is expected that most HM200 reviews would turn the spotlight on the camera’s features, and this is no different. What is the point of evaluating equipment without getting down to the most vital parts? This particular device boasts of a 1/2.33″ backside-illuminated sensor that supports recording in amazing resolutions, whether filming Ultra HD video at 24/30p or 4:2:2 Full HD 1080p video from 24 to 60p. Similar to other compact handheld camcorders that JVC will soon release, the GY-HM200 is also equipped with a 12x zoom lens and 24x dynamic zoom mode. The former provides a 35mm equivalent focal range of 29.5 to 354mm, while the latter is available when an HD video is recorded. Equipped with a dual codec Advanced Streaming Technology from JVC, the camcorder can directly put out live video stream to YouTube, Ustream and other hardware decoders, but it has to be equipped with a Wi-Fi or 4G LTE high-speed broadband modem to make the magic happen. While streaming, internal HD recording to either SDHC or SDXC memory cards can happen at the same time. Other streaming options to choose from include basic point-to-point, advanced error correction cloud streaming, and through RTMP protocol. If you want to deliver real-time footage online, the GY-HM200 is the ideal equipment to use. If you prefer to watch 4K recordings on a monitor or TV, simply connect a screen that supports 4K using a single HDMI cable. Once connected, you can then view the camcorder’s 4K signal or watch a playback of previously recorded videos. The device is also capable of converting UHD signals to standard HD through the SDI or HDMI connectors built into the camera. Some JVC GY-HM200 4KCAM reviews may only mention both features in passing, but these should be given emphasis. After all, they do play a vital role during filming, particularly when composing and monitoring a video. The 3.5-inch LCD display has 920K pixels, while the 0.24-inch viewfinder has 1.56M pixels. Both displays have smart focus assist function. This camera has 9 user-assignable buttons that let you preprogram settings. Every time a change has to be made, you don’t have to go through layers of commands embedded in the menu. Think of them as an equivalent to a keyboard’s shortcut keys. When nothing is assigned, setting will refer to their default state. 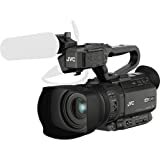 There are plenty of other features that make up the JVC GY-HM200 4K camcorder, including the built-in stereo microphone, top handle unit with XLR audio box, wired remote control support and so much more. 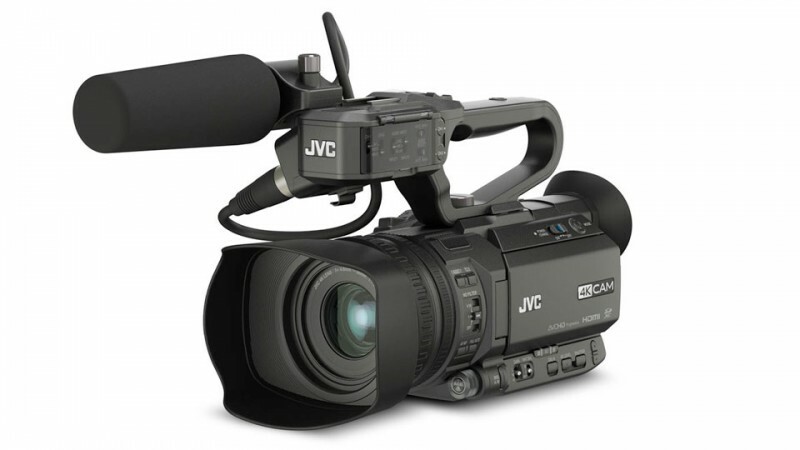 But it will be easier to appreciate all of them if you get first-hand experience using this amazing camcorder from JVC.